Dr. Jivraj is the editor of the textbook “Graftless solutions for the edentulous patient”, which provides a modern foundation for the diagnosis and subsequent treatment of fully edentulous patients with fixed implant-supported prosthetics. 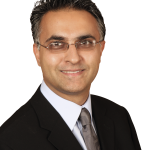 Dr. Saj Jivraj is currently an associate clinical professor at the University of Southern California School of Dentistry and the operator of a private practice focused on prosthodontics and implant dentistry. He is also the editor of the recently published textbook Graftless solutions for the edentulous patient, which provides a modern foundation for the diagnosis and subsequent treatment of fully edentulous patients with fixed implant-supported prosthetics. Nobel Biocare spoke with Dr. Jivraj about the book and how it can be used in the dental practice to produce high quality full-arch implant restorations. Dr. Jivraj, would you please be able to give us a quick overview of the book? Dr. Saj Jivraj: “Of course. This book was written because in our view, there was really no one thing out there that comprehensively summarized graftless solutions. First and foremost, this book guides dentists on how to think and plan when edentulous patients arrive in their office. It provides a practical approach to every single step and element of graftless implant placements – from diagnosis, to surgery, to digital techniques, to laboratory techniques, and so on. What is the intended audience for your book? So is there one particular piece of advice that you would give to a professional who’s considering getting into graftless edentulism treatment? There are a significant number of products and solutions from Nobel Biocare discussed in your book. Could you guide us through what some of the main products covered are? Is there a particular reason you can say why you chose Nobel Biocare for this book over different providers? 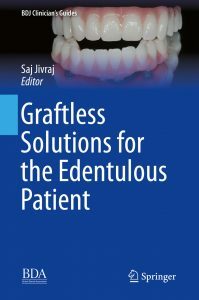 Find out more about the book, Graftless solutions for the edentulous patient.